I read my Google Reader almost everyday, and envy the folks who update their blogs daily. I am not as diligent, or as I see it, not as interesting. Wa wa waaaaa. I spent pretty much my entire winter vacation from work either on the couch, or at the sewing machine, and it was glorious. Almost everyone I know got a partly home made gift, and I feel like I saved quite a bit of money doing it this way. Wahoo! 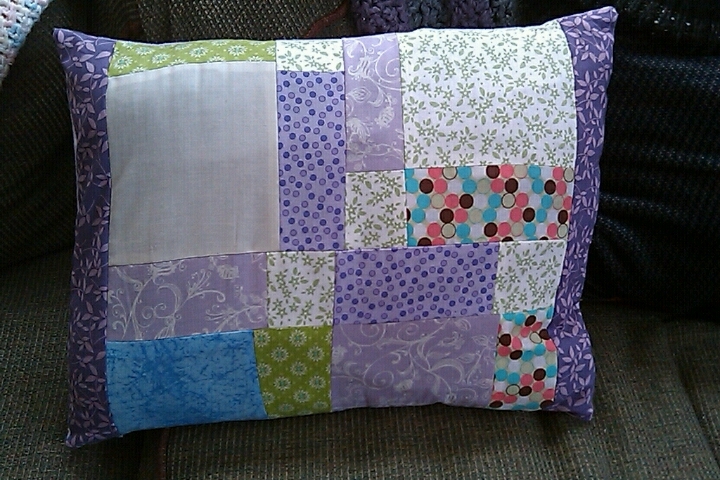 Now, I’m on to making my own home pretty. 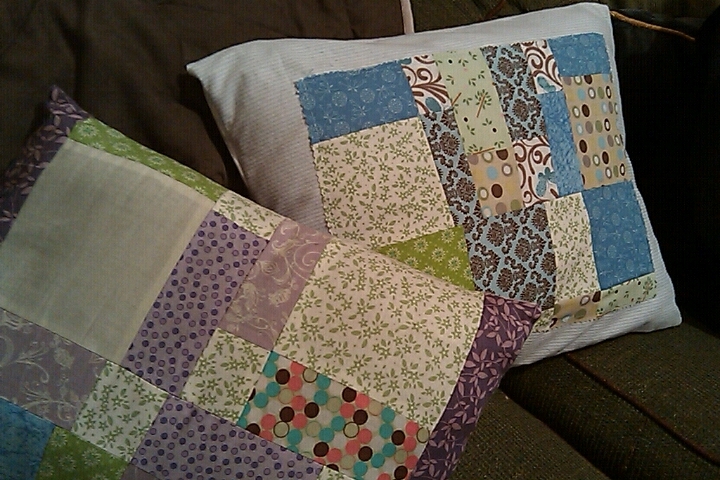 Starting with PILLOWS! Here are two that I made last weekend. I’ve got a third started, most of the quilt blocks are done, I just need to put it all together, and that will be my reward for a day of cleaning and organizing on this lazy Sunday. 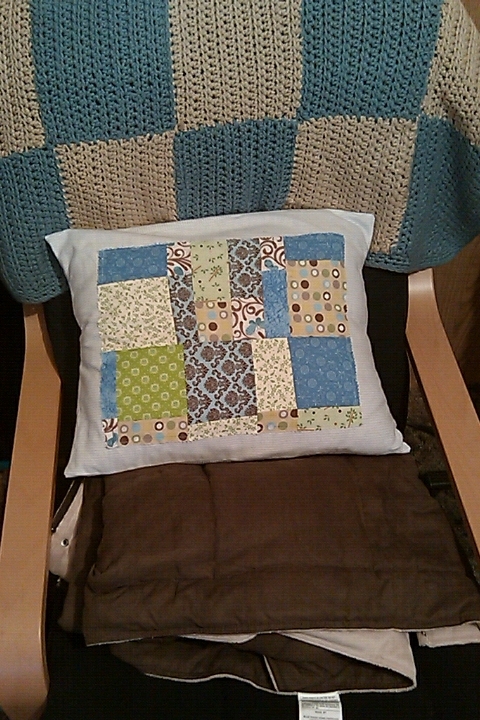 That beautiful blue and brown crochet blanket you see on the chair was a gift from my mom! Isn’t it beautiful?! It’s so soft. I’ve admired it as she’s been working on it this year, so I was so surprised and happy to find it under the Christmas tree for me! !